The Consumer Technology Association, which operates CES, is expecting 182,000 people to attend the trade show this year and 4,400 companies to exhibit their products. Although the show officially kicks off on Tuesday, those who can’t wait — and reporters — are getting an early glimpse at the goods. Here is the new tech to look out for at this year’s expo. 5G data speeds and foldable smartphones will make waves. The splashiest headlines coming out of CES will likely revolve around 5G technology on a variety of devices. After years of chatter about speeding up wireless systems, it seems the industry is finally ready to go. That means that soon, you might not need to have internet cables installed in your home to use Wi-Fi. Instead, a hub would be able to pull a 5G signal right out of the air and transmit high-speed internet to your home devices. It also means more devices, such as those in vehicles, would be able to seamlessly rely on internet to run components. The first 5G smartphones are expected on the market this year. Speaking of smartphones, Samsung might reveal more details about its foldable smartphones. As new phone models keep getting bigger, Samsung’s solution is apparently to allow you to fold them in half. New touchscreen technology will make that possible. New TV resolution will be ahead of its time. You may have just bought or received a TV with 4K-resolution for the holidays, but major brands are already moving on to sharper 8K displays, which are eight times the resolution of high-definition TVs. Among the 8K TVs coming, LG is expected to unveil an 88-inch OLED screen. Though these TVs will be a lot pricier, they will also be a lot thinner and blend better into the wall — Samsung, in fact, will be displaying a TV stand that allows screens to fit flush against the wall.One problem, however, might be finding any programming that matches that level of definition. 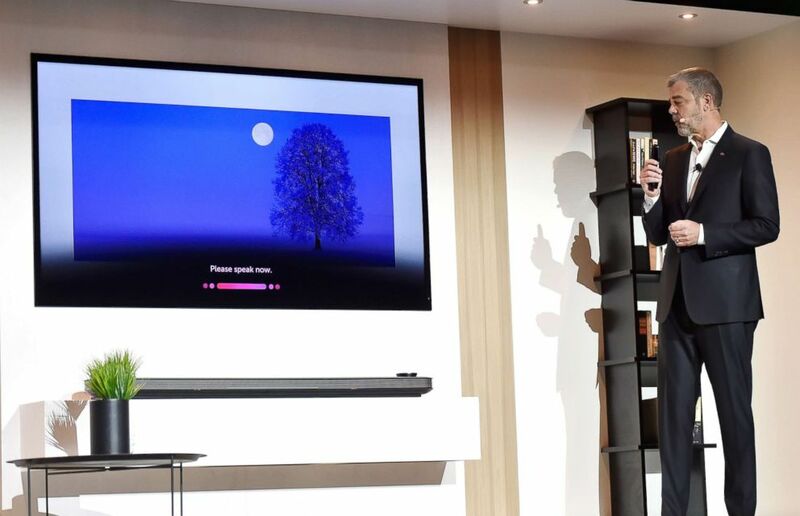 LG Electronics U.S.A. Vice President of Marketing David VanderWaal shows features of the LG AI Signature OLED television during a LG press event for CES 2018 in Las Vegas, Jan. 8, 2018. Auto companies will get to show off all the new gadgets in their cars. Sure, there will be larger, sharper TVs and wacky gizmos, but CES is also delving deeper this year as its auto hall attracts more attention, and therefore, exhibitors. Car companies now flock to CES to show off new tech in their vehicles, including autonomous technology that is gradually bringing us closer to self-driving cars. “CES has really become a center for vehicle technology, whether it’s autonomous vehicles or infotainment,” Arnold said. Almost a dozen major car companies are headed to Vegas to show off their latest innovations. Hyundai, for example, is expected to display a concept vehicle with legs that could move into disaster areas by climbing over rubble. Lifestyle tech will benefit your health and your home. New health-tech devices at this year’s show will help you live a healthier, better life, including a smart mattress, smart workout systems and smart blood pressure readers. 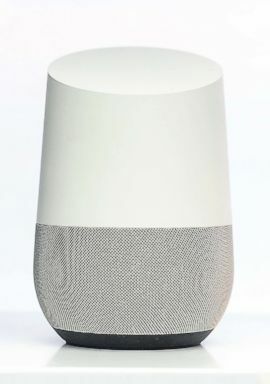 Google Home assistant device is showed at Google pavilion in Barcelona, Spain, March 1, 2018. Smart home devices are getting smarter this year, too. Instead of just talking to your Alexa or Google Home device, which prompts them to respond, it’s expected that they will have artificial intelligence integrated into them, making them able to learn and anticipate your needs ahead of time. Doorbell cameras will also do more than alert you to movement — they’ll tell you who or what is outside of your home. There will also be unique gadgets and products, such as a wardrobe-folding robot that will take care of all your laundry and supposedly the world’s first at-home cat DNA test, called Basepaws, which will provide cat owners with their cat’s genetic info. Lots of new tech will focus on disaster recovery. This year’s CES has a uniquely large focus on what the industry calls “resilience technology,” which will provide new ways to help prevent or recover from disasters after the U.S. saw record-breaking hurricanes, floods, and wildfires in 2018. There will be 5,000 square feet dedicated to these technologies at this year’s CES. Some of it will be focused on securing networks to prevent cyberattacks while other tech will work to improve communications after a disaster. CES is always about the surprises, so there’s a lot more to look forward to. Those items that shock audiences and sound amazing in theory, even if they might never make it to market — those are the hidden gems.